I get inquiries often from people looking to buy quality meat whether it is beef, pork, or chicken. Since we are perennially sold out I end up talking to these nice folks trying to help them find a good source of meat that they can trust. Everyone is at different stages on the path to better food. Some having just found the path and some much further down but they all seem to be struggling with how to tell if they are getting good meat because they don’t know what questions to ask. They’ve heard the horror stories about factory farmed meat but trying to find an alternate they trust is something they are struggling with. Since I’m not selling them, I’m considered to be a trustworthy source of who to go to next and how to know if they are a good source. Like my reading recommendations, I thought I’d summarize what I tell them here for everyone to read. Know your farmer. If you are concerned about where you meat comes from, then go to the farm and see the animals living conditions for yourself. What are proper living conditions? If it looks like a Normal Rockwell painting, you can feel pretty good about things. If it looks like a junk yard, or the surface of the moon, there MAY be issues. Understand farming isn’t always picture perfect but things should look healthy by and large. The fields, the grass, the trees. Heck, are the roads maintained? If people don’t take care of their farm, they likely don’t take care of their animals. If the farmer doesn’t give tours, or won’t let you on the farm to see their operation. Find someone else. Who does the farmer’s processing. Around here it’s going to be Chadhry’s, Acre Station, Key Packing, or Quality Packers/Dean Street Processing. Any of these are fine. If it’s someone else, then have the farmer explain why they utilize someone else. Are they a humane processor? Are they USDA inspected? A fine animal can become bad cuts of meat when handled by a poor processor. How are animals transported to the processor? How are they kept cool? How long do they spend on the trailer? Death is a part of life on a farm. However the animal should be kept cool and calm. The only bad moment in that animals life should be the moment it is humanely stunned with no pain. If you want to see a really good Hollywood movie on animal handling (a rarity), you can watch Temple Grandin here for free if you have Amazon Prime. How is the meat transported back from the processor? How is it kept at the proper temperature? Coolers? Coolers with ice? Plug in coolers? Refrigerated truck? Is it still safely frozen when it get’s home? Are you inspected as a NC meat handler? 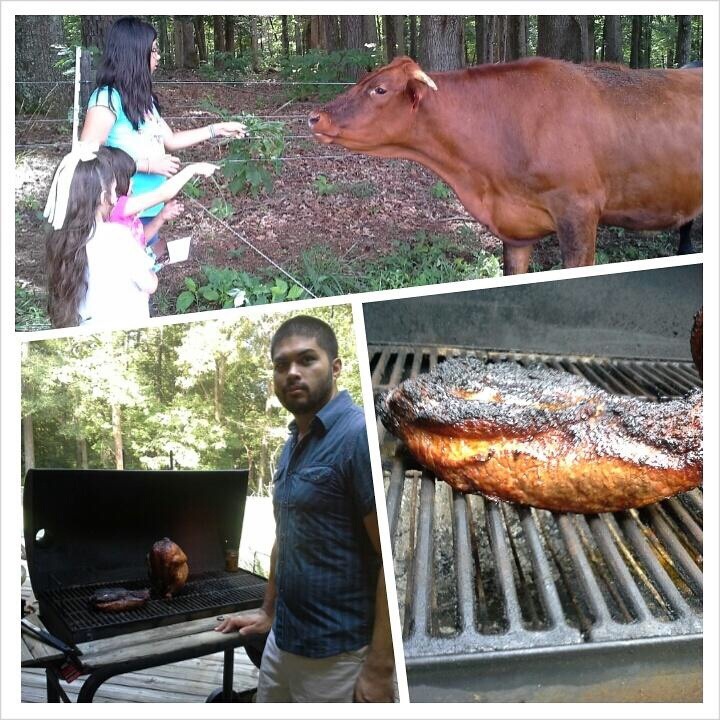 To sell meat by the cut in NC you have to be inspected by the state. Is your farmer inspected? You’d be surprised who isn’t. How is the meat kept frozen and stored on the farm? What is the farmers backup plan should he lose power? How is the temperature monitored? What does grass-fed mean to the farmer? Have him explain. What does grass finished mean to the farmer? Finishing is the process of building a fat layer onto the cow, increasing marbling and flavor in the cow. Many “grass-fed” cattle are put into sequestration for the last week/month(s) of their life and fed corn to finish them. This isn’t grass-fed or finished in my opinion. The entire animal is changed by this corn diet. Does the farmer actually grass finish or simply grass raise then pour on the corn and then sell “grass raised” beef? What is the farmer’s process for finishing their cow? Does he have a process? How does the farmer know when a cow is finished? By look, by experience? Have him explain it. 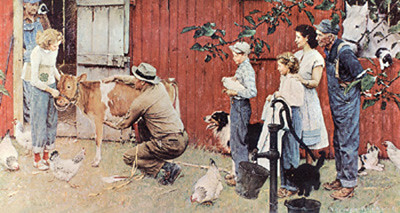 What does he look for on the cow? Listen for things that tell you the farmer is watching each cow individually and only processing when the cow is ready, not when the bank account is low. Does the farmer have meat all year round? 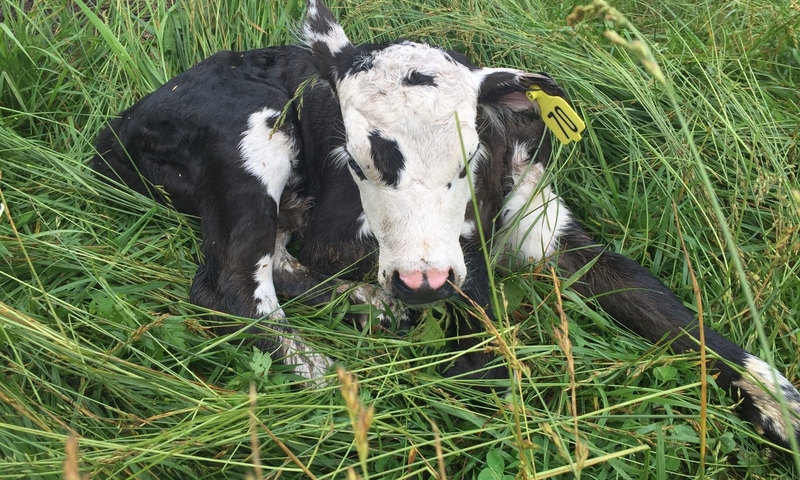 It’s pretty much impossible to have high quality, grass only finished cattle except for a few months per year, usually in late spring and in the fall. Any other time the cow won’t finish as well because the available forage isn’t of high enough quality. If the farmer finishes X cows per month, all year round, something else is going on. It may simply be that their winter cows don’t have quite the quality, which is fine. But if they are supplementing with something else, you need to ask the next question. What do you supplement with. Nothing is a good answer as at least it’s easy for you to make your decision however most farmers supplement with something. Kelp, silage, corn, bran, soybeans, hay, cotton seed meal. Each supplement has its own issues. Soybeans are the most heavily sprayed food crop in the world and 99% of them are GMO. Cotton seed is not a food crop and is not treated as one. Eating the meal from cotton seed is putting things into what you are eating that aren’t even regulated. Even Organic farmers can feed some of these things so know what the cow is eating, if it’s anything besides grass. Genetics matter a lot to a farmer. However they really don’t matter that much to you as the consumer. I often get asked what breed our animals are but in reality, it’s the raising that matters more to you than the breed. Simple first question. What do your pigs eat besides what they forage for. I’ve been to many farms and nearly all of them feed corn to their pigs. I’ve had farmers tell me you simply cannot raise pigs without corn. I took two 800 pound hogs to slaughter and they’d never had commercial feed in their life. They seemed to grow ok (sarcasm). A pig on a diet of corn isn’t a pig you want to pay a big premium for. It’s better than a CAFO pig, for sure. But just because it’s a heritage pig and roams around a bit in a paddock while snacking on unlimited corn doesn’t mean it automatically has a better health profile when it comes to Omega 3/6 ratios and the like. What breed of pig do you raise. Large blacks? Berkshires? Yorkshires? Ossabaws? My favorite, the “farmers cross” which is simply a random mix of various breeds. It does matter which breed you are buying when it comes to pork. Not because one is good and one is bad, but because there are lard pigs and meat pigs. Lard pigs are throwback to when lard was highly valued because we used it for everything like cooking, preserving, medicine, etc. A lard pig like an Ossabaw is a very old breed. Meat pigs are larger, longer, and leaner. They are bred to produce more usable meat on the same body, and to minimize fat. Both have excellent meat on them, the lard pigs and the meat pigs. You simply will want to know what you getting, and why the farmer chooses that type of pig. It does matter if you are buying non-heritage breed. Modern breeds have had the flavor bred out of them. It’s “the other white meat” campaign that was so popular for so long. The meat is flavorless and dry. Get a heritage breed pig to know what pork actually tastes like. Does the farmer castrate their male pigs? If so, how old are they when castrated? Anything beyond 7 days is frowned upon by the welfare people. Some places are banning piglet castration entirely. The issue with uncastrated pigs is that some boars can develop “boar taint” which imparts an off flavor in the meat. For the record we DO castrate our pigs and we get them as early as possible as it’s easier on us and the pig. Walter Jeffries, who is a remote mentor of mine and is the source of the previous link, has done lots of research on castrating and has written plenty on it. You can learn all you want on his site. How are the chickens housed? A barn, a Salatin style chicken tractor, a mobile house? How do the chickens get forage with their housing? Chickens need to take dust baths, to scratch for bugs, to eat grass. How are they getting that and how often? Free range? Meat chickens need to be confined for their own safety. However are they confined by poultry netting on fresh grass daily or cooped up in a small run with no grass and no bugs? It makes a difference. Like pigs, chickens “need corn” according to conventional wisdom. As far as I know, we are the only grower who doesn’t feed chickens corn. Chickens do need grain and our no grain meat birds we are raising now are an experiment to see if we can raise chickens without grain. However you should know how much of a chickens diet is grain vs how much is forage. Is your grower growing Cornish cross birds? This is the breed that represents 99% of the chicken you buy in the store. Cornish cross have often been called Frankenchickens. They grow unbelievable fast and they can quickly grow so large that their legs break under their weight. Many producers in this market choose freedom rangers because they grow only slightly slower but are able to still be a fully functional chicken. You can have what you want, but knowing what breed can tell you something about your farmer. It’s common to process chickens on farm in NC. However, that means you should look at the processing area and be comfortable with the cleanliness and attention to detail. When does the farmer process and how often? How many birds per day? Some farmers will trade some birds for help on processing day. You’ll never be more comfortable with the processing than when you’ve been part of it yourself. Is that an option? In order to process on farm, the farmer has to be inspected by a NC regulator twice per year. Is your farmer inspected? If not, it’s illegal for him to sell chickens to you. Many farmers don’t know this and think they are exempt. They aren’t. Next PostNext #9 has bloat again, but we were able to treat her.